Like McDonald's Malaysia fan page. 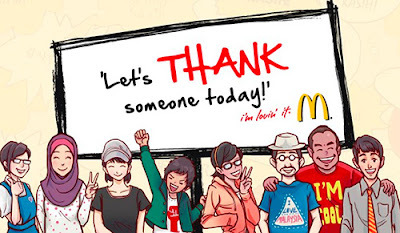 Post a thank you message onto one of his/her friends' wall on Facebook. Visit McDonald's Malaysia contest website for more details.